Every year, more than 20,000 workers are injured on construction sites, where more than a hundred are fatalities. Usually, these are the result of backovers, rollovers, collisions, and fires. With heavy equipment incidents, around 35% are the result of contact with construction equipment, and most of these incidents can easily be avoided by following the safety measures when operating them. Let’s take a look at the best ways and technology that a construction site can use to reduce accidents and improve overall operations! Contrary to popular belief, most construction injuries aren’t the result of falling bricks, runaway jackhammers, or cranes tipping over. Instead, most injuries take place when the worker is getting on and off the machines. That’s why it’s imperative to ensure that safety wearables are worn during operation. Likewise, with the advent of IoT technology, these safety wearables are now embedded with sensors, this only implies that in case of accidents, or when the machine malfunctions, those who are in charge would be alerted right away. The way a construction machinery work can be amusing for most people, and that’s why more often than not, the area gets overcrowded with onlookers. Most experts would tell you that this is pretty dangerous, as it creates the risk of accidents and injuries. That’s why it’s essential to secure the area during an operation. The use of traffic safety cones can he helpful for this. As with ground operators, they should stand clear of a machine in action to lessen the chances of injuries. Likewise, machine operators should use communication channels, or their horn to notify those who are in the area. When operating a machine, it’s imperative that you stick with the recommended payload based on the manual for maintenance and operation. Failure to comply would increase the risks of malfunction and even machine rollover. Smart wearables have made the construction industry safer for those involved. Protective gears, such as hard hats, safety vests, goggles, and so on, would not only protect the user physically, but it can also notify the project managers during an emergency. By wearing smart PPE, it lessens the risks of everyday mishaps when handling construction equipment. The most common ones include hard hats, high-visibility vests, goggles, gloves, and fall protection equipment. Although they may seem a little costly at first, they can be a significant investment, as they would ensure the safety of the workers. Wearing a seatbelt isn’t only crucial when driving a vehicle, but it’s also advised when operating heavy machinery. Despite the fact that there’s a few claiming that wearing one isn’t necessary, there’s a lot of points supporting how it could potentially save the wearer’s life. For example, during a rollover– it’s when a construction machine falls over because of a system malfunction, a seat belt could save the worker from possible death. For heavy equipment operators, it’s their responsibility to be aware of the blind spots and avoid them. For that, they must physically get out of the machine, and go back to look. Although mirrors can be helpful, there are situations where they fail to provide a 360-degree scope of vision. This short time of double checking can save a life. There’s always the danger when you’re moving a large piece of machinery, and moving it in reverse is only more dangerous. That’s why when backing machinery, it’s advised that the operator remains vigilant at all times. To make this happen, the operator should check and make sure that the perimeter is safe and secure. Aside from that, observing the mirror while moving backward should also be practiced. 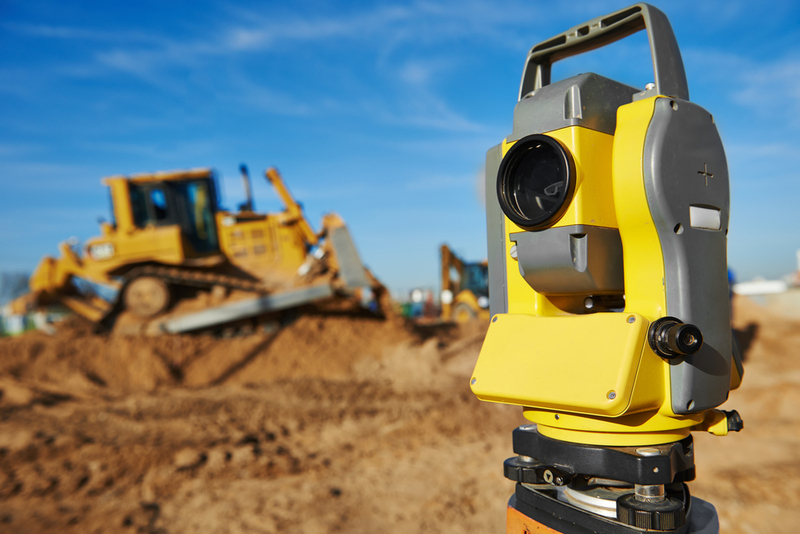 For construction workers, especially project managers, it’s imperative that they conduct a visual check of everything, especially the machinery and equipment before beginning work. By doing so, they’ll be able to discover if there are any dangers and be able to avoid them. Heavy equipment is vital on a construction site. However, they can also be dangerous if not properly managed. Chris provides national brands with freelance copywriting, PPC Management Services, and SEO strategies as a Digital Media Strategy Consultant. He is also passionate about emerging technologies and traffic safety issues.